Gastric bypass is a type of bariatric surgery that involves reducing the size of the stomach as well as bypassing the upper part of the small intestine in order to decrease food intake and nutrient absorption, thus producing weight loss. Types of gastric bypass surgery include Roux-En-Y and Biliopancreatic Diversion with Duodenal Switch. The surgery can be performed through open surgery or laparoscopic methods. 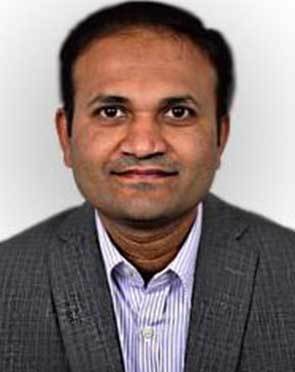 Dr. Manish Joshi is a renowned and accomplished surgeon with specialization in Surgical Gastroenterology, GI Oncology and Advanced Laparoscopic procedures. 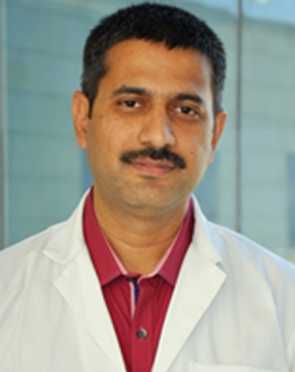 He is an experience Gastroenterologist with over 19 years of experience in the surgical domain and he is an expert in the field of Basic & Advanced Laparoscopic Surgical for Gastrointestinal (GI) Cancers, Colon & rectal Cancers, Gastric Cancers, Pancreatic Cancers, Liver Cancers, and others. He is a highly qualified and proficient GI surgeon with medical qualification and training from premier institutes and is skilled performs all types of gastric procedures, from basic to complex. 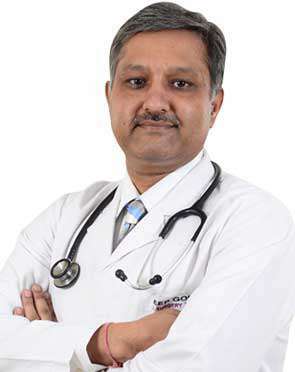 Dr. Vashistha is a renowned senior Bariatric and Advanced Laparoscopic Surgeon in India with over 20 years of experience in Minimal Access Surgery.He is the Head of the "Department of Surgery" Max Health Care, Saket, New Delhi. He has made significant contributions to Bariatric and minimal access surgery by launching Bariatric program in Max Healthcare Saket, Bhatinda, Dehradun and Central India.He is a member of numerous prestigious organizations in India and Asia. He has also published several research papers in the field of minimal access surgery. He is the historical first Laparoscopic Surgeon duly accredited & Certified by National Board of Examination, Ministry of Health and Family Welfare New Delhi. Laparoscopic MiniGastric Bypass and Revision surgeries. Dr. Paritosh S Gupta is a Head of the Department, General, Min Access & Bariatric Surgery at Artemis Hospitals, Sector 51, Gurgaon, India. He is practicing in Delhi and NCR for past 15 years. With an exhaustive list, having more than 10,000 successful surgeries performed to his credit, he is considered as one of the best and experienced hands in his field. He is a graduate from Sh. 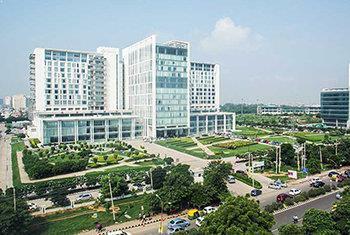 M P Shah medical college, Jamnagar, Gujarat and Postgraduate MS (Gen Surgery) from same medical college. Bariatric Surgery and Laponco Surgery and Lap Urology work. 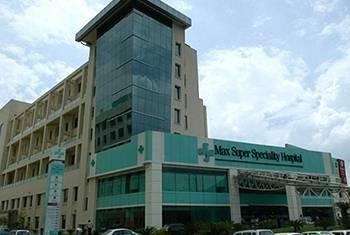 Presently working as a Consultant in Minimal Access Bariatric and Surgical Gastroenterology at BLK Super Speciality Hospital, New Delhi. Enamored by surgery even as a diligent young medical student he single mindedly set out to pursue a career in surgery. He succeeded in securing a highly competitive and sought after surgical residency seat at one of the oldest most respected universities in India at Allahabad. During his post graduation he endeared himself to his Professors and other faculty with his honest dedication and uncanny surgical sense. Dr. Manish Baijal is a leading surgeon with expertise in Metabolic and Bariatric Surgery along with Minimal Access Surgery and Laparoscopic Surgery. 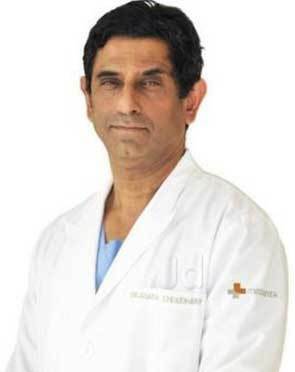 Backed by 23 years of rich professional experience, Dr. Manish Baijal has keen interest in procedures like scar-less neck surgery for thyroid and parathyroid diseases, surgery for hernia, weight loss and obesity and laparoscopic surgeries for Gall bladder stone, common bile duct and others. He has attained his medical qualification and training in advance courses from renowned medical institution and went to Ohio, USA to attain specialization in Bariatric Surgery from Cleveland Clinic. He has been involved in teaching at premier medical institutions. He has also published books and many papers in national and international journals. Apart from these, he has held honorary positions in various acknowledged medical societies and associations. Created 15 educational teaching CD-ROMs on 'Minimal Access Surgery- Basic & Advanced Procedures' which were released by Honorary Shri K R Narayanan, (former) President of India, in 2002. Authored a text book on "Endohernia repair" First edition: 2004 (Byword Viva Publishers Pvt. Ltd.) and "Endohernia repair" Second edition Vol. 2, 2012 (Byword Viva Publishers Pvt Ltd). 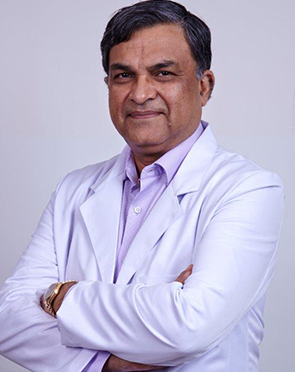 Aided in the compiling and editing the scientific content of the manual titled "Minimal Access Surgery Guidelines & Recommendations"
The Director & HOD at the department of Laparoscopic, Bariatric and Gastro Intestinal Surgery at Fortis Hospital in Gurgaon, Dr. A K Kriplani has over 33 years of experience in his field. 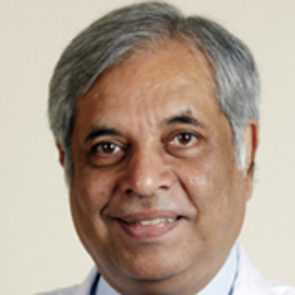 Dr. A K Kriplani is a pioneer in laparoscopic adrenalectomy and laparoscopic splenectomy. He was the first doctor who performed laparoscopic Whipple pancreatic-duodenectomy in North India. Dr. A K Kriplani 38 scientific publications to his name and has delivered more than 395 guest lectures and keynote addresses across the globe. 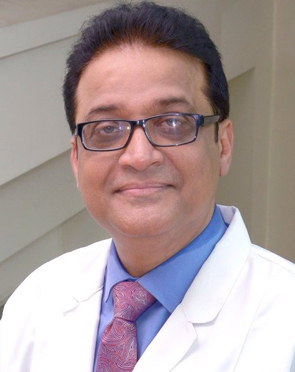 With more than 37 years of experience, Dr. Kriplani has become a well-known doctor for Minimal Access Surgery and Bariatric Surgery. Dr. SR Joglekar Award for the best article of the year published in the Indian Journal of Surgery on "Laparoscopic Cholecystectomy: An Experience at the All India Institute of Medical Sciences New Delhi"
Distinguished Service Award by the IMA Academy of Medical Specialties, National body of the Indian Medical Association, New Delhi. eMedinews Distinguished Speakers of the year 2010" awarded during the "2nd eMedinews Revisiting 2010", Maulana Azad Medical College, New Delhi. Dr. Anshuman Kaushal is a leading Laparoscopic GI, Brariatric and Laser Surgeon in India with over 15 years of experience in the field. He is highly qualified with degrees and training in advance courses and fellowships from renowned medical institutions. He has performed over 10,000 surgeries with special focus on all types of Complex Hernia, Hepatobiliary, Laparoscopic GI & Colorectal and Weight loss surgeries (Sleeve/ Bypass). He is an expert in field of General surgeries, Oncosurgery, Laparoscopic GI and Bariatric surgeries. To his credit, his accomplishments include many firsts like being the first to receive postdoctoral fellowship training by National Board of Examination in Minimal Access & Bariatric Surgery at Maulana Azad Medical College. 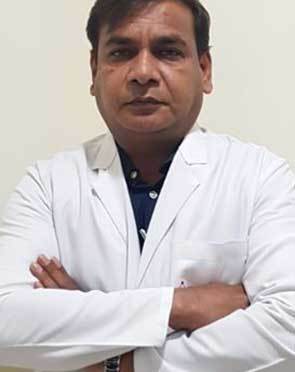 He is also the first one to have received the coveted Fellowship of International College of Laparoscopic Surgeons (FCLS) from Society of Endo Laparoscopic Surgeons of India. First to have received postdoctoral fellowship training by National Board of Examination in Minimal Access & Bariatric Surgery from Maulana Azad Medical College. Awarded the coveted Fellowship of American College of Surgeons. He was among the first to receive the prestigious Fellowship of International College of Laparoscopic Surgeons (FCLS) from Society of Endo Laparoscopic Surgeons of India in 2012. Dr. Pradeep Chowbey is one of the best Laparoscopic surgeons of India and among the best few Bariatric surgeons of the world. He is highly qualified as a surgeon and throughout his career he has continuously honed his surgical skills. Highly eminent personalities like former President of India, K. R. Narayanan and His Holiness Dalai Lama preferred Dr. Chowbey for their surgical needs. 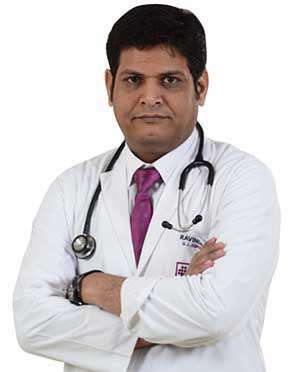 Dr. Adarsh Choudhary is a renowned and one of the best GI surgeon in India with specialization in Bariatric surgery, laparoscopic procedures and GI Oncology. In his illustrious surgical career of more than 40 years, he has been credited with many accomplishments including performing the maximum number of Whipple's Surgery in India. Dr. Adarsh Choudhary is a pioneer in the field and is known for starting the first department of surgical gastroenterology in India. He holds expertise in Minimal Invasive Bariatric and Obesity Surgery along with Gastro intestinal Surgeries, Whipple's Surgery, Hepatabillary and Pancreatic surgery. Having attained his medical qualifications and fellowships in advance courses from nationally and internationally reputed institutions. We believe in evidence base patient care through an organised team approach lead by Professor Adarsh Chaudhary. 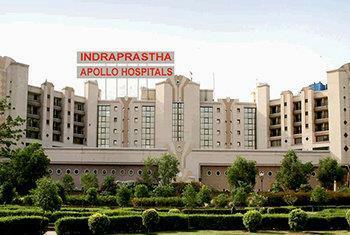 We perform about 150 to 170 diverse gastrointestinal procedures monthly and have established ourselves among the leaders for pancreatic surgery in the country and emerging as a centre of excellence for advance laparoscopic procedure like Video Assisted Thoracoscopic Esophagectomy, Laparoscopic colorectal cancer surgery and Bariatric surgery. Dr. 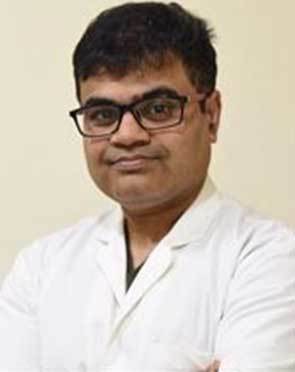 Deep Goel is currently working as a Senior Consultant and the Director of Minimal access, Bariatric and Surgical Gastroenterology Department at BLK Super-Speciality Hospital in New Delhi, Dr.  Deep Goel is a laparoscopic general surgeon with a great experience of working in huge multi-speciality hospitals in India. Dr. Goel's core area of interest lies in Minimal Invasive Abdominal Cancer Surgery and Gastrectomy in case of cancer, apart from the general laparoscopic surgery. Best Original Research Award by National Board of Examinations, Ministry of Health and Family Welfare, Govt. of India, New Delhi. 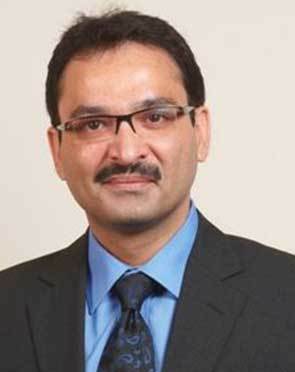 Dr. Sanjay Verma is a renowned GI surgeon with specialization in Bariatric and Advanced Laparoscopic surgeries and rich experience of over 23 years. He is an expert in the field of weight loss surgery, minimal access, Laparoscopic, metabolic surgeries other than general surgery and Gastro intestinal surgery. He has attained his medical qualifications from premier national institutions and trained in advanced courses including minimal access surgery, advance Laparoscopic, G.I surgery and in Bariatric Surgery. 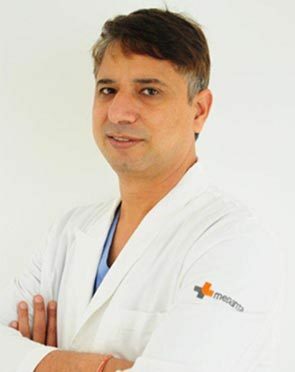 Dr. Verma has been involved in the operative teams, and teaching courses on his area of expertise, at various workshops, conferences, reputed hospitals and institutions. He has published a number of research papers of high value in recognized national and international medical journals. Proficient in wide range of routine and emergency surgery. Well informed on current national and international surgical trends. Conducted regular surgical training and teaching classes for post graduates, interns, undergraduates, nursing students etc. Actively involved in DNB teaching programme of the hospital. Co-guide for DNB General Surgery 2012-2015. Dr. Bahl is an MBBS Graduate from Maharishi Dayanand University, Rohtak and completed her MD (Obstetrics & Gynaecology) from the same university in 1994. With a rich experience of over 20 years to her credit, Dr. Bahl has been associated with several prestigious organizations like Safdarjung Hospital, New Delhi besides others. Her last assignment was with Max Super Specialty Hospital, New Delhi as Senior Consultant - Obstetrics & Gynaecology.She has many publications in National & International journals to her credit and also actively participates in Conferences and CMEs. 24 years of total experience. Senior Consultant for the last 14 years since Dec 1994. This was after 10 years on various posts in India (4 years) and United Kingdom (6 years). Involved with Laparoscopic Surgery from the time it started in the UK. Belong to the first generation of laparoscopic surgeons One of the first in the UK to be doing Laparoscopic Cholecystectomy and Hernia repair on day case. One of the first surgeons internationally to be doing Minimally Invasive Piles Surgery (Stapled Hemorrhoidectomy) and Endoscopic Thoracic Sympathectomy for Hyperhidrosis of Palms and Axilla. 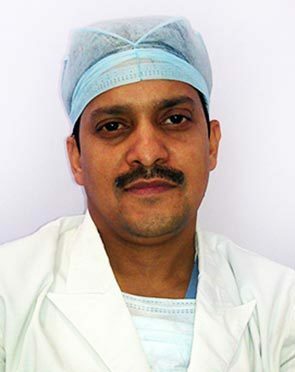 Dr Aloy J Mukherjee is associated with us as a Senior Consultant in the Department of Surgery. 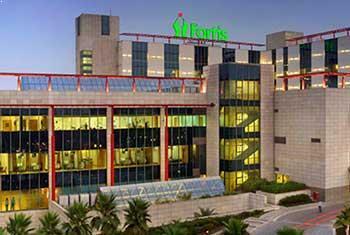 Prior to this, he has been associated with Fortis Healthcare and Rockland Hospitals. After completing his Masters in Surgery in 2001, he completed his Senior Residency in Surgery from AIIMS, New Delhi in 2004. He has over 15 years of experience in surgical teaching and practice. His key fields of expertise include Advanced Laparoscopic and Thoracoscopic Surgery, Surgical Gastroenterology, Endocrine Surgery, Colo-Rectal Surgery and Bariatric Surgery. Dr. Pattnayak is an MBBS Graduate from S.C.B. Medical College, Cuttack and completed her MD (Obstetrics & Gynaecology) from Sambalpur, University in 2003. With a rich experience of over 10 years to her credit, Dr. Pattnayak has been associated with several organizations like Moolchand Hospital, New Delhi besides others. Her last assignment was with Max Super Specialty Hospital, Saket, New Delhi as Associate Consultant - Obstetrics & Gynaecology. She has many publications in National journals to her credit and also actively participated in Conferences and CMEs. The Gastric Bypass Surgery doctor typically first sees the results of the tests ordered to assess the overall health of the patient. Based on the initial assessment, the doctor would prepare a treatment plan tailored according to the individualized needs of the patients. The treatment plan for Gastric Bypass Surgery, its alternative options, the pros and cons associated with each option and the treatment cost is thoroughly discussed with the patient to seek their approval. Once the patient gives his or her consent, the Gastric Bypass Surgery surgeon addresses his team members and shares the details of the case with them. The team members prepare for Gastric Bypass Surgery and share a scheduled date of the procedure with the patient. The patient is advised to follow a few instructions as given by the Gastric Bypass Surgery surgeon. In addition, the Gastric Bypass Surgery hospital initiates the formalities and informs the patient about the estimated cost. The patient is accordingly required to submit documents for any insurance claim approval. What is the Gastric Bypass Surgery surgeon responsible for? The surgeon is responsible for the preoperative diagnosis of the Gastric Bypass Surgery patient, for performing the operation, and for providing the patient with postoperative surgical care and treatment. The surgeon is worked as the leader of the Gastric Bypass Surgery surgical team. Disclaimer: Lyfboat does not provide professional medical opinion on the treatment or diagnosis of a particular ailment. All the offered services and information presented on www.lyfboat.com are only for the purpose of public knowledge and cannot substitute the professional consultation of the physician. Lyfboat strongly advice against copying or cloning of its web content and follows the legal protocols for protection of its intellectual property. © 2019 Lyfboat Technologies Pvt. Ltd. All Rights Reserved.